In a time of record-shattering hurricanes, with Congress bought and sold by the fossil fuel industry, and FERC continuing to act as a rubber stamp for the gas industry — many of us are looking to states and cities to fight climate change. But real leadership is hard to find. Take New York Governor Andrew Cuomo: he talks a good game on climate action – but we need more than words. Stop all fracking infrastructure projects. Move to 100% renewable energy. 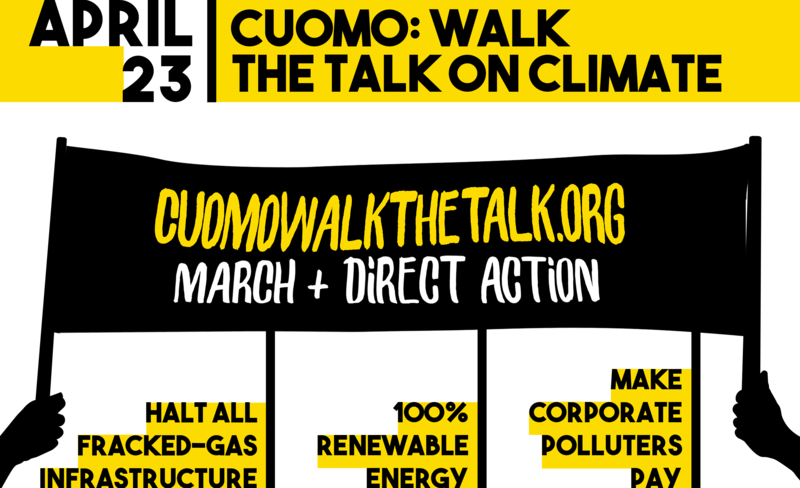 That’s why on April 23rd, we’re teaming up with allies from across New York in Albany to tell Governor Cuomo to walk the talk on climate. There has never been a climate march this big at the Capitol in Albany, and free buses are available from across the region. All we’re missing is you! RSVP now to join us in Albany on April 23rd. Stop all fracked gas infrastructure, including pipelines, power plants, and compressor stations. They poison local communities, and further shackle New York to decades more of dirty fossil fuels. 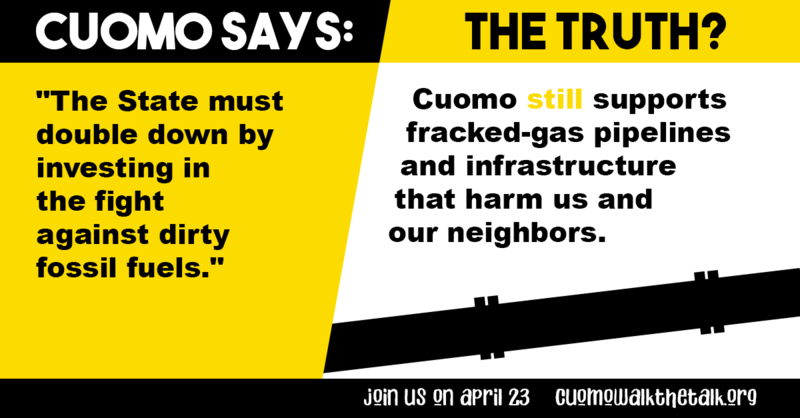 If it’s dangerous to frack in New York, then it’s just as bad to import fracked gas from neighboring states. Move rapidly to 100% renewable energy, with a just transition that creates thousands of good, union jobs, and ensures resources are prioritized to those communities most vulnerable to climate change, especially low-income and communities of color. If Governor Phil Murphy of New Jersey can commit to 100%, then so should Cuomo. Make corporate polluters pay for the pollution they dump into our atmosphere, which damages our health and destabilizes our climate. Then use the money to fund an equitable transition to 100% renewables. We have the power to make all three of these things happen in New York, but it’s going to take absolutely all of us. 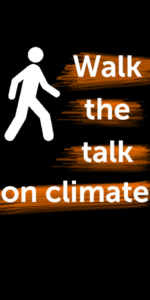 RSVP today to join us in Albany for what will be the biggest climate march in our capital ever by our growing movement. The event will start with an energetic, family friendly march to the Capitol and then pack the building with our collective power. I’ll also be working with some friends to participate in a civil disobedience action. More details on the day of the march will be available soon — RSVP at the link above to get all the details. Brave climate leadership isn’t going to come from Washington. It’s going to come from us, if we step up and make our Governor work for the people and the climate. See you on April 23rd in Albany!